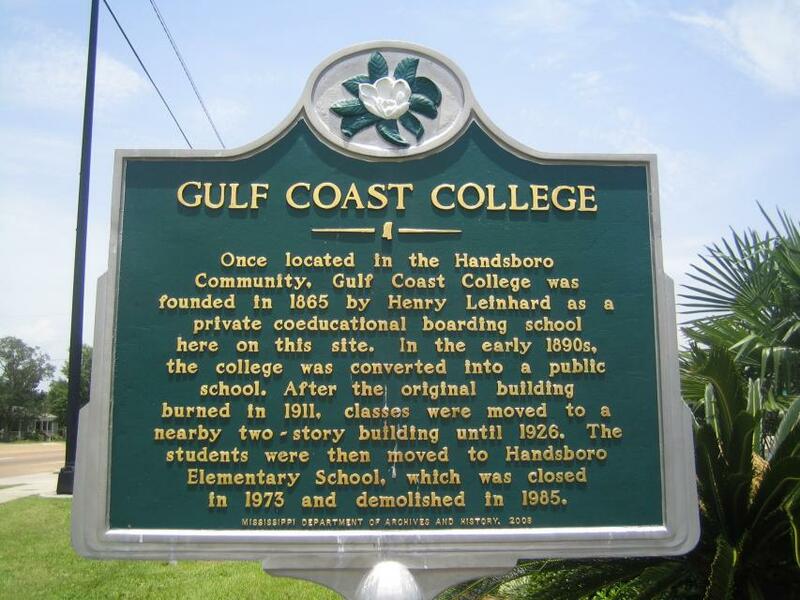 Once located in the Handsboro Community, Gulf Coast College was founded in 1865 by Henry Leinhard as a private coeducational boarding school here on this site. In the early 1890's the college was converted into a public school. After the original building burned in 1911, classes were moved to a nearby two-story building until 1926. The students were then moved to Handsboro Elementary School, which was closed in 1973 and demolished in 1985. This marker can also be identified by its HM code. You can use the hashtag #HM1JA6 in tweets, and any other place where you might refer to this marker, including when searching on this site.